Unplug Idle Electronics – Many people are not aware, but keeping electronic items plugged in while not in use still drains energy from the power source, depending upon the item. For instance, an iPad, TVs, DVD players, or powered speakers can sometimes draw power despite being turned off. A newer device aimed to help those who easily forget to unplug these items is called a smart plug. 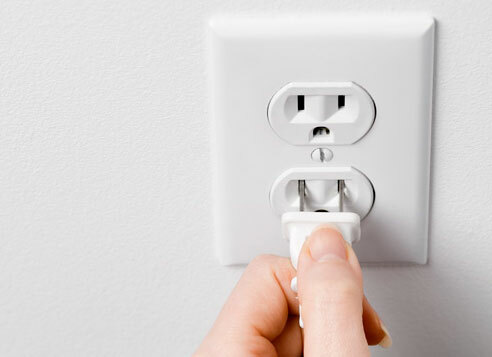 Using a smart plug or a smart surge protector can help save on power. Use Appliances Accordingly – A dishwasher is more energy efficient than washing dishes by hand. Remember, washing full loads at a time will also help reduce water waste. The same goes with washing clothes with a full load. And, a larger air conditioner will use less energy to cool a home than a smaller unit. Using an Energy Star appliance, such as a refrigerator or a pool pump, is an investment that can significantly reduce the cost of your energy bill as well. The Old Adage, ‘Windows Open, Fans On’ – In the warmth of the Ridgecrest summer never underestimate the power of a fan and an open window. We can often get so used to air conditioning that we forget to take a moment and enjoy a fresh breeze provided by nature. If you get it just right, it’s possible to relax in a natural flow with ceilings fans turned on. They’re installed. Use them! Replace Lightbulbs & Windows – Remember to replace all lightbulbs in the home with energy efficient bulbs. And if the budget allows, replace all windows with energy efficient windows. This will significantly reduce energy bills. Many who have done so will testify to the difference. 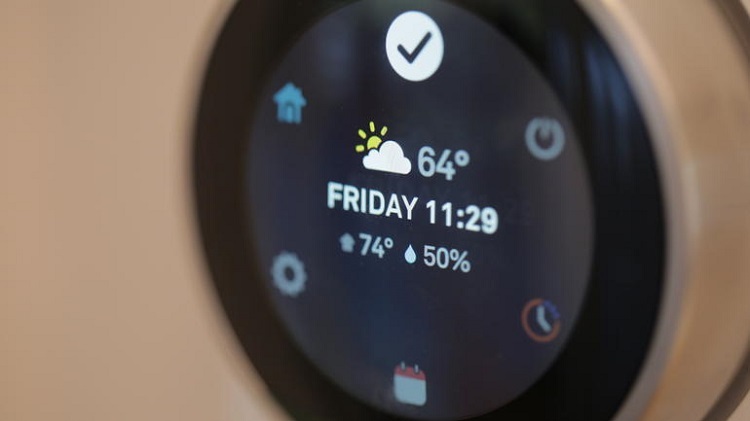 Install a Smart Thermostat – Using a programmable thermostat allows for a much more “hands-on” approach to energy use based on climate control. Left your house and forgot to turn off the heater? Use an app on your smartphone to make the adjustment. For many, saving money takes a conscious effort until a new habit is established. Try some of these new ideas and when the bill arrives next month, you’ll be happy you did. Who doesn’t wasn’t to have an extra dollar in his pocket to spend at the end of the month? Need more energy advice? Give me a call Clint Freeman, at (760) 382-1082, and let’s talk! !